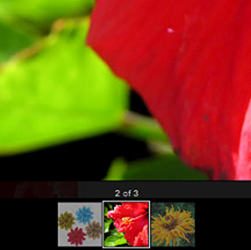 Most of you might have noticed the Light box overlay display for images on your Blogger Blogs. The feature looks similar to the one in Google Plus. The feature is enabled on all Blogger Blogs by Default. 4. Esc to close the LightBox. I have this only on one blog, how to enable this manually? Great for photo albums, awful for journal-styled and information-based blogs where images are more than just a collection of photos. This unannounced imposition has effectively broken thousands of blogs. There's a rumor they're going to "roll it back" - whatever that means. At this time they have "roll it back", Thas is bad, It was the most interesting features since the invention of the wheel. Is there a way to implement it since they "Roll it back" ? I don't have it yet. Or at least I don't think so under what situations does the light box appear? Does it pop-up when you click on a lnked image and how does it decide which images to show, it shows all of the images in that post? P.S. I just tried the lightbox demo in Opera, Firefox, Chrome and IE and when I click on the image, I just get a bigger image. Is it already "rolled back" or am I clicking on the wrong thing? yup they have rolled it back. But i guess it will soon be back with some way to control it. This was cool. However it did not work with older photos. Hopefully when they relaunch it, this problem will be fixed. And they should at least give you the option to enable/disable the feature. Thanks for the script this works find, however on older pics I had to change s1600-h to s1600 to view pics with no additional code changes. I added the code and it works great with Firefox, but when someone views the blog on Internet Explorer, it doesn't work. How do I fix this? This stopped working this morning. Does anyone have a clue what is going on? If you look onto my blogspot, the lightbox wont appear and yet when i click on the pictures I am to be redirected tot he pictures main source but I've already set the Lightbox on. How come? I also using the light box effect for my image albums. It prevent wasting of my blog space. And I also made a post on how to do this trick on blogger. Anyway nice share. Good luck. I want to use the official Lightbox on my blog. But it doesn't work. Also when I snippet the code above the [/head] and the [/body] it still doesn't work. I have complained this to Blogger. Because it WAS working, and I didn't do anything on my blog, it suddenly disappears. What to do? Thanks for the info. Is there a method to show captions or labels in the official light box?